Susan Hanson, distinguished professor emerita in the Graduate School of Geography at Clark University, received the 2018 W.N. Carey Jr. Distinguished Service Award from the Transportation Research Board (TRB) in recognition of her outstanding service to the National Academies of Sciences, Engineering, and Medicine, and the broader transportation research community. The Carey Award, named in honor of W.N. Carey Jr., the TRB’s executive director from 1967 to 1980, recognizes individuals who have given leadership and distinguished service to TRB. The award was presented to Hanson during the 98th TRB Annual Meeting. Hanson began her volunteer work on behalf of the TRB in 1982 as a member of the Technical Standing Committee on Transportation Demand Forecasting. She since has served on almost 40 National Academies or TRB committees, panels, advisory boards, or delegations. Hanson currently is chair of the TRB Division Committee, which is responsible for ensuring that the TRB meets the National Research Council (NRC) standards for objectivity, quality, and integrity. She provides oversight for committee and panel appointments and report review, and assists the TRB Executive Committee with the strategic planning of special projects submitted for approval to the NRC Governing Board. During her tenure as Division Committee chair, since 2013, Hanson has overseen the approval of approximately 750 TRB reports and publications, as well as the creation of 422 TRB committees and panels. She has been a strong leader and advocate for the TRB’s efforts to advance inclusion and diversity in activities and programs, chaired committees focused on environmental concerns related to transportation, and served on a committee that called on all levels of government to adopt policies to support more compact, mixed-use development. Hanson is an urban geographer who has focused on the connections between travel-activity patterns and urban spatial structure, on gender and the geography of urban labor markets processes, and on the significance of residential rootedness to urban processes. Elected to both the National Academy of Sciences and the American Academy of Arts and Sciences, Hanson is past-president of the American Association of Geographers and the recipient of lifetime achievement honors and the Brunn award for creativity from the AAG. Among many other awards, Hanson was a fellow at the Center for Advanced Study in the Social and Behavioral Sciences at Stanford University, a Guggenheim Fellow, and a recipient of the Van Cleef Medal from the American Geographical Society. She is the author of eight books and many research articles. At Clark, Hanson served as director of the Graduate School of Geography twice. 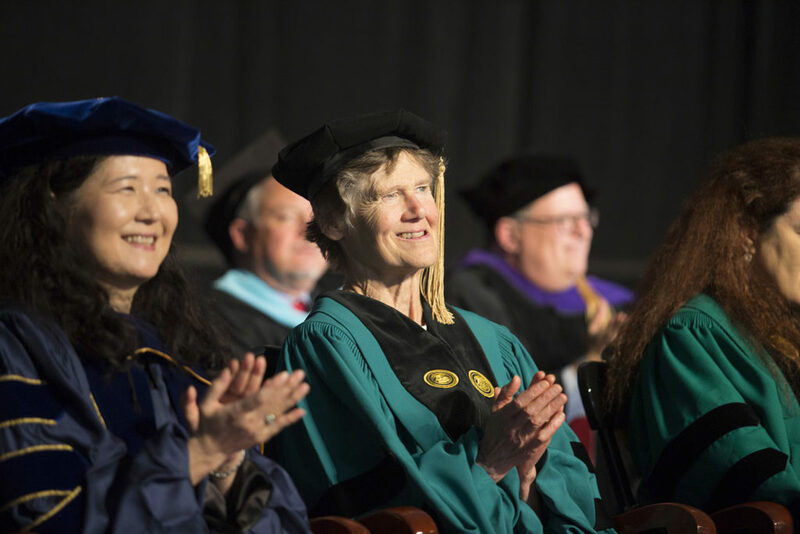 The University awarded her an honorary doctor of humane letters degree in 2018. The mission of TRB is to provide leadership in transportation innovation and progress through research and information exchange, conducted within a setting that is objective, interdisciplinary, and multimodal.